There's a pattern to be left's takeover of religion, it usually begins by writing G-d out of the equation and replacing him with paens to social activism. Environmentally motivated warnings about resource consumption, animal welfare and global warming are the next wave of liberal social activism and religion is ground zero for their targeted subversion. 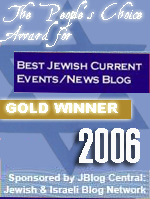 Examples include the recent movie Evan Almighty which coordinated with liberal churches in America and the UK to promote an ecology centered vision of Noah and the flood and now inspired by Jimmy Carter turning off the White House Christmas Tree, comes the Green Chanukah which is to be celebrated by lighting one Chanukah candle less. The Greek Chanukah, oh I'm sorry Green Chanukah, the confusion is natural since Chanukah is the story of how secular Hellenistic values took over the Temple and parts of the Jewish people. The Green Chanukah is about secular environmentalist political activism taking over a religious holiday and subverting its message. Environmentalism serves as its own theology, coming packaged with a vision of a careless and arrogant humanity consuming the planet and its resources and having to learn to put nature first. The Greeks put their faith in Science, in being able to take apart the world and understand its natural laws. Under those laws, a greater army will defeat a weaker one and oil can only burn for a limited time. Chanukah is the demonstration that in the end it is G-d who rules the world and who determines the outcome of events as great as the winners of battles and as small as how long a flash of oil can burn. Chanukah is not about the conservation of resources, it is about the recognition that all resources ultimately come from G-d.
Judaism does not believe in the God of Natural Law who is bounded by his own creations but in a G-d for whom natural law is a procedure and not a limitation. Environmentalism and a Greek Chanukah is about guilt and fear, about teaching children that the food they eat, the cars their parents drive and the heat that keeps them warm at night are crimes against nature and the starving people of the world. In place of sacrifices to G-d, environmentalism enacts sacrifices to nature, "giving up things" to somehow make the world better. The candle taken away from Chanukah is a sacrifice as well, a sacrifice to the green, to the supremacy of nature, a fundamentally pagan act. Where Chanukah sanctified the light of the flame, Green Chanukah, like some sort of Bizarro version of Chanukah, seeks to extinguish it. A true Hellenistic take on Chanukah. It is no surprise then that Green Chanukah comes from Non-Rabbi Arthur Waskow, a left wing activist with a long history of trying to pass off political activism, like the Freedom Seder, as religious ritual. Far left wing, Anti-America and Anti-Israel and associated with the Jewish Renewal movement which is code for aging hippies meditating, smoking pot and calling it religious enlightenment, Waskow is the perfect foil for the environmental movement's war on Judaism. From Hechsher Tzedek to EcoKashrus to Green Chanukah, the environmental movement seeks to subvert Judaism and replace it with environmentalist dogma. 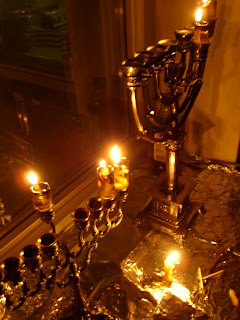 Some elements of Judaism like Kosher are openly attacked while others like Chanukah are reinterpreted with the end result being something that uses Jewish terms but has no more connection to Judaism than Messianic Judaism does. Chanukah is about the celebration of G-d in our lives and the power of faith to change the world. Green Chanukah is about a Godless vision of a world on the edge of destruction that can only be saved through ritual sacrifices of electricity and consumption that have absolutely no meaning on a global scale but serve to entangle those practicing them in the environmentalist belief system. Happy Chanukah, the old blue and white kind. Environmentalism is a religion which replaces real truth. They have their own doctrines and orders of worship which center around symbolic doings which signify certain things. How about if the environmentalists agree to stop driving their cars, using electricity or watering their gardens every Shabbos. That would do a lot more for the atmosphere and greenhouse gasses than one less candle! It doesn't surprise me that liberals want to replace G-d and make the world go dark. This green Chanukah thing is about as silly as the Jewish myth (I HOPE it's a myth) about a liberal Jew cutting a carrot instead of a baby's foreskin during a Brit. I don't know if this article is at all relevant to this discussion, but I thought you might appreciate it anyway. Have a Happy and meaningful Hanukkah. 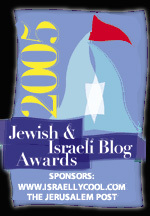 Our poor historian then excoriates the Maccabean dynasty for becoming “exorbitantly corrupt, vicious, and divided.” Just like the Islamic fundamentalists whom Hitchens so often accuses of malice, he now imitates their propagandists by obfuscating the harsh and dissentious realities endured by the Jewish people in Israel (not “Palestine”) during the Greek and Roman occupations. He fails to mention that these same Greek and Roman “saviours” and their respective god-cultures were responsible for the politically and religiously motivated murder of Jews by hundreds and thousands. From this point on I will refer to Hitchens’ mendacious zeal as “secularist fundamentalism”. I think the shoe fits. Maybe, like his easily distracted countryman David Irving, Hitchens is attempting to rewrite history. Perhaps he doesn’t take Jewish history seriously enough to recount it in real context and with the respect it deserves. Perhaps he could learn much from those Jews who today dutifully remember to each other those few glorious days in ancient Israel (not “Palestine”) when the brave Maccabees made it known to Antiochus in no uncertain terms that his murdering thousands of observant Jews would never interrupt their obedience to the numinous intransigence of the laws of their Torah. The Maccabees are not the thugs in the story of Hanukkah, regardless Mr. Hitchens’ sciolistic interpretation of their story. The theory of human induced global warming is that sequestered fossil fuels are being burned and the co2 is being added to the atmosphere . The carbon in the candle comes from CO@ in the air. This is another example of Jewish liberals trying to bugger Jewish Jews. regardless, I,for one, would rather breathe cleaner, fresher air and eat food from uncontaminated soil and drink unpolluted water. The idea should not be conservation but a better product that doesn't befoul the very environment one needs to exist. Making things people don't need while befouling the very air they breathe is not rational. I do not want mercury, residual pharmaceuticals, ammonia, and rocket fuel poured into my lakes and rivers. That is just common sense. I'm all for the entrepeneur who does this. All human industry impacts the environment. There's no perfect utopia in which people do not impact the environment. The goal should be to limit actual hazardous interactions, not to worship the environment itself.